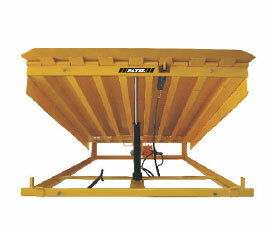 We, at Afza Material Handling and Storage Systems are engaged in the production and distribution of Dock Leveller. The Dock Leveller, we provide, are available in different models that include Hydraulic Dock Leveller and Movable Hydraulic Dock leveler. 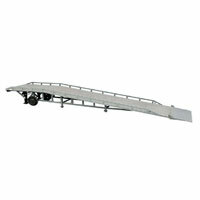 These Dock Levellers are engineered with precision by the experts at our own state-of-the-art production house. Loaded with several advanced features, these Dock Levellers are demanded widely by several industries to meet the material handling requirements. We provide Movable Hydraulic Dock Leveller that is a kind of special auxiliaries for goods loading & unloading at variable locations. 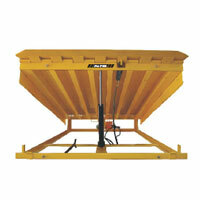 The Movable Hydraulic Dock Leveller can realize speed loading & unloading of cargoes. The clients can avail the Movable Hydraulic Dock Leveller from us at affordable price.